The ideal board which made the dream shape precisely. 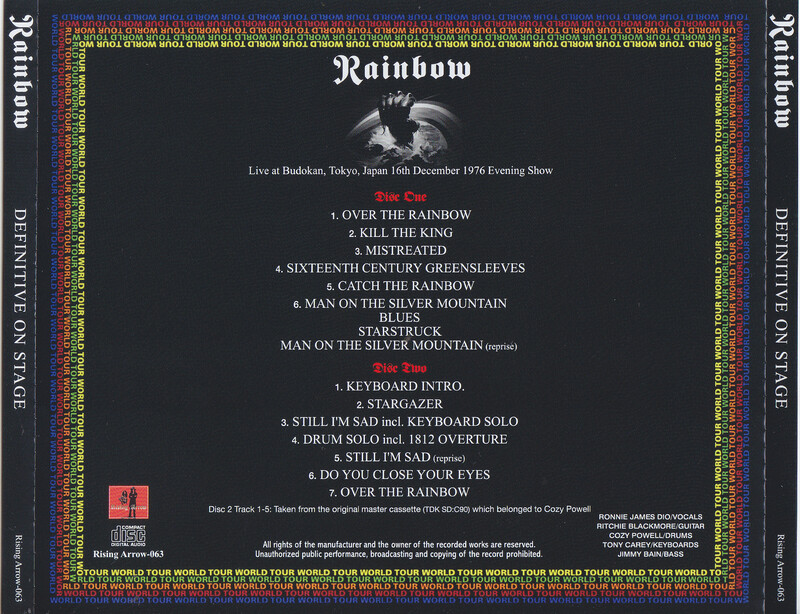 It is the birth of live album which draws “legendary Budokan” with the longest sound board. 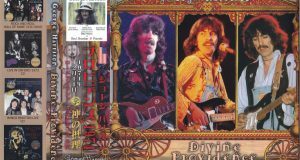 That “legend” is “December 16, 1976: Nippon Budokan (night part)”. It was also adopted for the name board “ON STAGE”, and is a masterpiece in the performance that has been touted in numerous superb audience recordings. 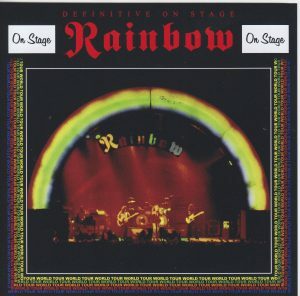 RAINBOW It is a show that has become a symbolic presence of Hard Rock in the UK, boasting a remarkable reputation even the first visit to Japan. Although it is also a treasure trove of masterpiece / name recording, especially the sound board was overwhelming for the first time in many cases. This work is a live album that utilizes such a sound board, realized the longest version with the highest quality. First of all, let’s organize the sound board that recorded this day. There are five types of sound boards in existence. Speaking of the highest qualities among these, “SBD # 5” (credited with Osaka, this is an official side mistake, it is definitely Nippon Budokan). Literally official quality mixed exquisitely from multi from the official excavation was tremendous. However, regretfully it was not a full recording. 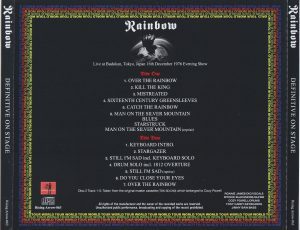 It was an incomplete version where the highlight of the latter half of the show (keyboard / drum solo / Still I ‘m Sad part from Stargazer) was cut off with a bagasse, whether it was to put it in one CD or whether the master was incomplete is. However, this cut part was also left on the sound board. That is “SBD # 2”. Yes, it is a cozy tape excavated at Langley label legendary board “WHEN EVENING FALLS”. This work is a combination of these two long sound boards and supplemented with a superb audience recording for a few minutes (the end of drum solo and over The Rainbow of the show) where no sound board exists. Of course, it was not just connecting. Even though it is a sound board, there are slight differences in the feeling between “SBD # 2” and “SBD # 5” with different sources. Therefore, in this work, mastering both of them exactly and minimizing discomfort. 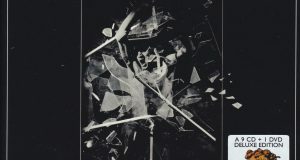 Furthermore, “SBD # 2” itself is also a live album that has been thoroughly devoted to everything as long as we can digitize it with the latest equipment from the cozy and tape actual article (TDK SD: C90). The full album that appeared then is a crystal of a dream. 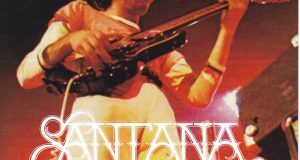 Although it is a live that I have listened to with many name recordings so far, all the notes are drawn with the super vivid sound of the top soundboard. Ritchie’s guitar glittering in the brain, Ronnie’s singing voice speaks directly to the soul, Koji’s drumming senses the feeling of skin until the skin’s vibration. Of course, this live is also the last show of Jimmy Bain / Tony Kalei. The last night spinning by five people who created Daimyo ‘RISING’, all the moments are spelled out at the top of the sound, and the complete body flows seamlessly out of the show without stopping. 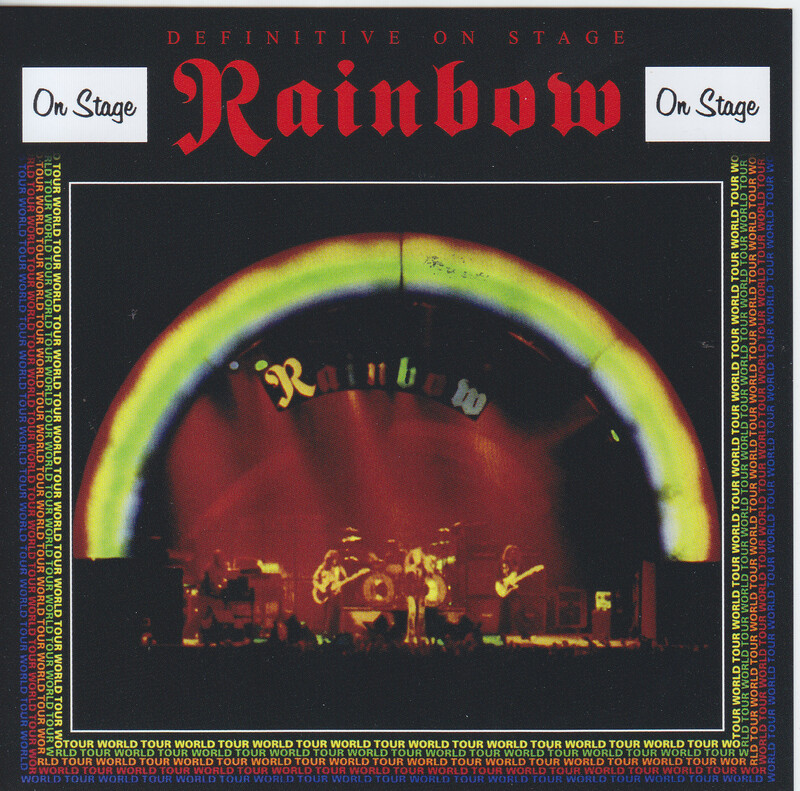 “ON STAGE” When the Deluxe Edition was released, the perfect version imagined by everyone. It is a live album that finally became a reality. Unlike regular boards produced by joining together performances including West Germany, “ON STAGE” is drawn with a single penetration of One Shaw. It is the press 2CD which permanently preserved the dream of maniac who became shape. By all means, please experience.